They say a business is only as strong as its email list and, with social media and access to online supply and demand being so heavily dominant in the world market these days, we’d have to agree. Cultivating basic strategies around outreach and lead generation are proof positive ways to build your list – and your brand in the process. The following lead generation strategies should be used as a guideline to begin your quest at building your email data center. Spinning off on any of these options is a plus and can only cast your net even wider. Get them to opt-in. Offering readers live demos, webinars, free reports, and giveaways makes your product stand out. Everyone loves a reward, especially when it’s free and enticing. Any blog post can be turned into an opt-in opportunity. Want an even better response? Take the opt-in out of the sidebar and into the pop-up window! Make sure you test. Testing your messaging is imperative to sealing the deal, but one test is simply not enough. When you aren’t sure, try, try and try again until you have the analytics to obtain the best result. Avoid clutter. Make the landing page easy to access, read and understand. Presenting too much information will become counterproductive. Make them an offer they can’t refuse. Offers are a dime a dozen, so make yours stand out by providing something consumers actually want. Reap the benefits with remarketing. Okay, so they didn’t bite the first time, but you still have a shot to get in front of customers and present your plea in a different way. Remarketing using the Google Display Network gives you 92% reach in the U.S., across millions of websites, videos, and devices. Partner on product integrations. It’s a win-win when you work with complimentary SaaS products to generate high affinity qualified web traffic to your brand. Pick an integration with the partner that would be most willing to promote the integration, and would be most incented to open up their ecosystem to you. Offer meet-ups. Get off the internet and in front of your market by offering local meet-ups with the goal of obtaining more interest in your product or service. Give them a prize. Everyone wants a prize now and then, so offering a contest via social media where the lead wins a prize is a win-win. Rafflecopter is an excellent tool to use for such a feat, and plans start at $13/month. An alternative approach is to use Blinkd for Twitter giveaways. Plans at Blinkd start at $0-1.99/day. Build a list. Offering e-books, reports, guides, workbooks, or training videos is worth the hassle of creating them in the first place. Once you have the template, you’re golden. These items can be mass produced with very little effort and generate a huge yield. Capture the email addresses in programs such as MailChimp, Aweber, 1ShoppingCart, or Infusionsoft. The first step to lead generation is knowing your audience. Sales leads are the lifeline of any B2B organization. Once you have a concrete idea of the people and businesses in your network, you can begin the outreach process. Try social media sites, such as LinkedIn, Facebook or Twitter, to tap into audiences you never knew even existed. With the invention of built-in lists and groups, these social media sites have it in the bag. They are already doing much of the work for you! Another option is the use of Google AdWords to begin attracting the customers you most want in your corner. Utilizing a solid SEO strategy is one of the best things you can do to get your brand in front of the people for whom it matters most. Think for a moment: What does your product or company offer a buyer and what keywords might that consumer use to locate it online? Once you have those questions answered, begin your search, pun intended. 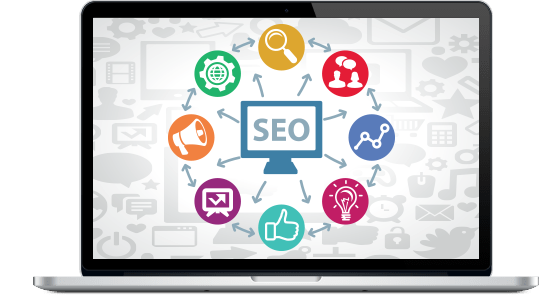 Integrating the appropriate keywords necessary to boost your traffic in Google is absolutely necessary to being seen by the most eyes possible. Closely related to the SEO strategy is PPC – pay per click advertising. When operating in a heavily concentrated arena, PPC can set your brand apart by securing a spot on Google searches. Social newsfeeds are another way to get your brand in front of the masses – and that falls under the same PPC umbrella. Using a site like Marketo helps to deepen customer relations by helping the client to pick and prune lead marketing lists, email marketing lists, consumer marketing lists, mobile and customer based marketing trends. This type of application goes beyond simply obtaining the lead generating lists – it helps to maintain them for the long haul. SaaS stands for “Software as a Service” and is another name for cloud-based marketing software. Because it’s cloud-based updates are automatic so you always have the latest version available with the least amount of hassle. SaaS products are pay-by-month so there is no huge cost upfront for licensing. 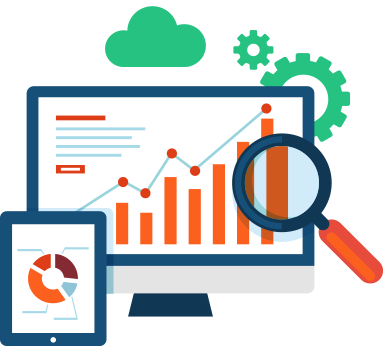 Predictive analytics and algorithm studies will essentially aid in producing the customer base you most want to obtain, while keeping the traffic to your site flowing. When you’re doing everything in your power to generate leads and nothing appears to be working, you will want to consult with your analytics resources. Why struggle? Let the numbers speak – and listen to what they say. Key Performances Indicators (KPIs) should pay close attention to key metrics and note whether or not the content created is being consumed by generated leads. If it’s not working correctly, something has to be altered. Hey, at least you know, right? Don’t ignore analytics as they are in place to help – not hinder – your business. Google Analytics is a popular program to use in this case. Pay close attention to traffic sources, SEO patterns, email sign-up locations, and paid search results. Find out whether or not your visitors are returning or first-time and what they click on. Where are your leads spending the most time? What is the conversion rate (is your traffic turning into leads)? Use segmentation in email campaigns to obtain a better breakdown of traffic and lead generated sources. Co-founder at Snitcher. I’m fascinated by design, entrepreneurship, and everything startups.